It's tough to believe it's already 2015! It's been a crazy year, with good times, tough times, and as always new projects. I went from overly optimistic at the end of 2013, to feeling like a complete failure in the middle of last year, and now I don't know what's going to happen, but that's what will make 2015 so exciting and is why I think looking back on this past year is a good idea. Deity Quest, my first commercial game, was released to very mixed reviews. I was definitely experimenting with interesting gameplay mechanics for this game, and sometimes they worked brilliantly and were a lot of fun. However, the game definitely has kinks - partly because the design was an experiment, and partly because I certainly didn't do enough playtesting. This caused some duller moments during combat and even stalemates that contributed to the feeling some players had that the game had a lot of grinding. Additionally, there is definitely a learning curve to the game, and a lot of players didn't learn enough of the mechanics to reach those "brilliantly fun" moments. The content and areas definitely could have used more love as well. One thing I learned from this project is that procedural generation is not a valid replacement for hand-crafted content unless it is very thoughtfully put together (like I am attempting for I Can't Escape: Darkness) - in which case it actually takes a lot more time to develop than doing the content by hand. Procedural generation is NOT (and should not be seen as) an easy way out of designing content. Because of the very simple generation algorithms in Deity Quest, a lot of the areas seemed repetitive and featureless which was the second big reason that some players felt the game was a grind. It was after the release and rough start of Deity Quest that I got kind of disillusioned with game development and posted this: http://david.fancyfishgames.com/2014/05/deity-quest-havencall-and-future-of.html . However, I certainly learned a lot from this project, and it was from Deity Quest that I realized my mistakes and designed more interesting procedural generation algorithms for I Can't Escape: Darkness. Deity Quest has also just gotten greenlit on steam, so perhaps that will bring a second life to the game: http://steamcommunity.com/sharedfiles/filedetails/?id=245330039 . I've been doing some fixes, tweaks and balance changes to the game, and I'll have another blog post when I get it up on Steam (which will hopefully be this month)! ADventure Lib is a smaller game that I finished as a side project late in 2014. 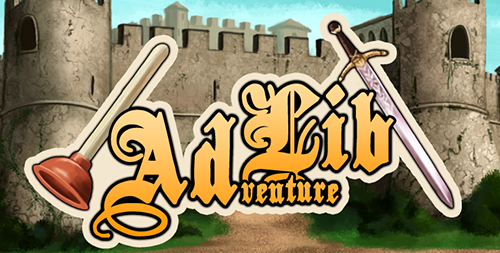 ADventure Lib's name is a pun on ad lib - it's a parody point & click style game where most of the characters, items and objects have been swapped with each other. It gets pretty ridiculous when you have to do things like defeat the fire-breathing pants, save your beloved toilet and find the potato of legend. I have yet to release ADventure Lib, mainly because I'm still trying to figure out what the best way to release it is (I have a feeling it is a fairly niche game), but this game will definitely be released in the near future (and if you're interested in playtesting, feel free to e-mail me and I may send you a beta copy). If you're wondering why I do side-projects, I find it helps to refresh my mind, and the side projects often help me with the larger projects as well. For example I added controller support to ADventure Lib, which is being re-used to add controller support for I Can't Escape: Darkness. My favorite author, Brandon Sanderson, knows this phenomenon very well too - in his end of the year blog post he revealed that he wrote the sequel of Shadows of Self to get back on track to finishing Shadows of Self. I Can't Escape: Darkness is my next big project, and I am currently hoping to release a closed alpha this month. I was originally planning on releasing the full game this month, but after some playtests we discovered pacing issues that needed to be worked out, causing a minor setback. While Darkness is procedurally generated and different every playthrough, the generator is a lot more intelligent than in Deity Quest, and it can be tweaked to modify the pacing and game flow. It also has procedurally placed static event areas that have interesting art and mechanics. I know a lot of you are curious exactly what the mechanics and gameplay of I Can't Escape: Darkness will be like, but telling you too much would spoil it, as it is meant to break expectations. Light plays an important part in the game. There will be MANY tricks and traps. There is a legitimate game path to escape (unlike the original where the escape was more of a hidden easter egg). I still do not expect many players to escape. Another year, and Havencall is still not done huh? Well, we did finally finish a playable version of the first third of the game in June of 2014, and submitted it to IndieCade. However, from playtests and comments from this version, it became clear that a lot of the story of the game was not coming across well - and the story is by far the best part of this game. So we've been redesigning parts of the game and focusing a lot more on how to get the story across. This means that Havencall is once again postponed, but the good news is that the game should be a LOT better when we finally finish it! This month, I'll be finishing up some changes to Deity Quest and releasing it on Steam, and also releasing a closed alpha for I Can't Escape: Darkness. If you wish to participate in the closed alpha, simply send me an e-mail (davidmaletz@gmail.com). Relatively early this year, I also plan to release ADventure Lib, so there will be several fancy fish titles coming out one after another. I Can't Escape: Darkness will certainly be released in time for Halloween of 2015, and there should be a revised Havencall playable build this year as well. 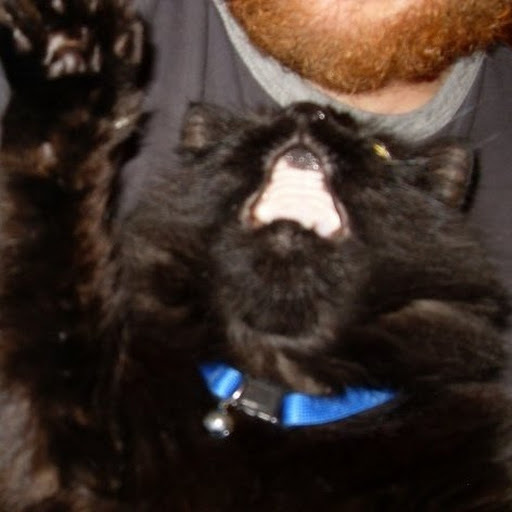 I'll likely be getting a full time job this year, as my part time endeavors and games simply aren't making much money. However, I still plan to make games and even a 40 hour work week leaves plenty of time for that. Honestly, it will be good to have financial security and be able to work on games without worrying too much about how well they sell. What other projects do I plan to start this year? Well, I will certainly start one of the sci-fi game projects I've been wanting to make for a while (and spaceships are Matt's specialty, so you know they will look good). I've also started creating a voxel engine using I Can't Escape: Darkness's direct/indirect lighting. The lighting is very impressive, efficient and so well suited to voxel-style games that I could not resist. I'm not spending a lot of time on the voxel engine, so it could be a while before you see it or any voxel games from fancy fish games, but I do have lots of ideas, so that may be a direction I head in the not-so-near future. 2015 is already off to a good start, and I have a feeling it could be the biggest year for Fancy Fish Games yet! Look forward to future blog posts!